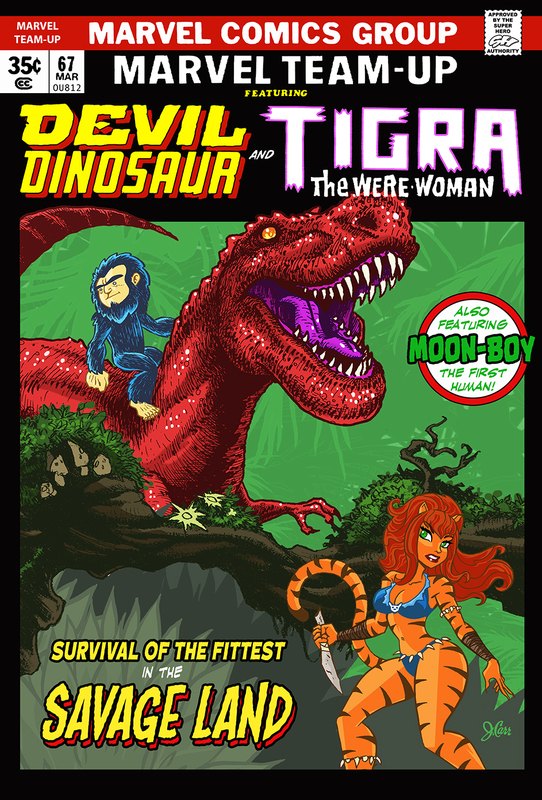 Furkini Atoll: Devil Dinosaur meets Tigra! I just can't stop doing these homages to the comics of my childhood! Nothing made me happier than a shiny new comic on the spinner rack at the local newsstand! Especially if one of 'em had either Devil Dino or Tigra gracing the cover!